The filters for your HVAC system need to be chosen carefully. When you require sterile air filters in VA, there are a few features to look for. Knowing how to narrow down the possibilities will provide you with confidence knowing that you’re able to filter out the needed particles to create a more sterile environment. You will want to review the materials used within an air filter. Different materials are capable of providing various levels of filtration. Microglass fiber and synthetic mediums are commonly used in order to produce more pockets in the filters. It ensures that you are able to get the higher MERV ratings to ensure that you’re filtering as many of the small particles as possible. A variety of frames should be available to hold the filters in place. Whether you are getting a panel, pad, back, or box, the frames will help to hold them in place. Latches will then fasten the filters to them so that you can make sure that your filtration is set up anywhere within your operations. 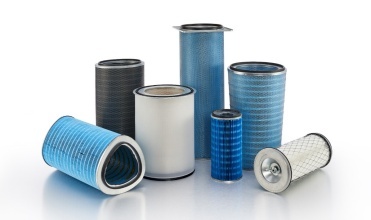 Before purchasing an air filter, you also have to look at its capabilities. Some filters are considered a “prefilter” so that heating and cooling coils don’t become coated with dust and dirt. Other filters are capable of filtering out even the smallest of particles, ideal for hospitals, clean rooms, and other sterile facilities. The environment that you work in and of the type of HVAC system you have will dictate the type of filter you need to get. Reading through the details of the filter will also ensure it is able to meet all of your strict needs.